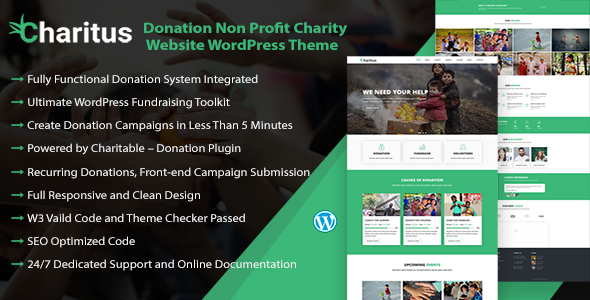 Charitus is a fully functional highly customizable online donation system WordPress theme powered by Charitable plugin. It has all common features what a Donation / Fundraising site should be. You can create a donation campaign in a minute.